In lieu of flowers memorial donations may be made to Heartland Hospice. Mildred Beatrice McNeece, age 89, of Nevada, Missouri, passed away October 17, 2011. She was born August 18, 1922, to William and Sadie (Crain) Fleener in Virgil City, Missouri. On February 28, 1942, she married Earl McNeece. To this union six children were born: three sons, Richard, Lonnie and Rocky, and three daughters, Nancy, Donna and Sharon. Mildred’s hobbies included sewing, crocheting, and quilting. She also enjoyed going fishing. She loved having family come back home and cooking for them. 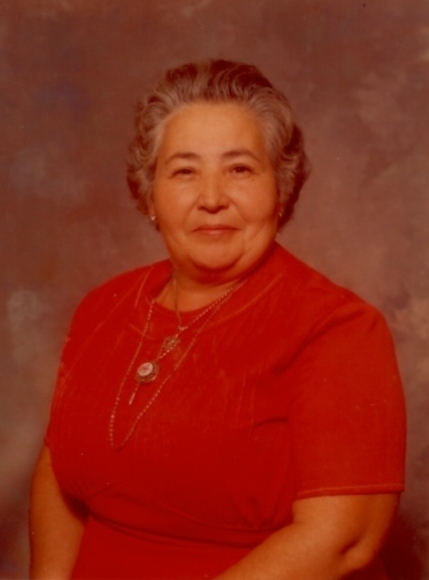 Mildred loved her family and enjoyed playing games with her grandchildren and great-grandchildren. Preceding her in death were her parents; her husband, Earl, in 1971; and six brothers: Cecil, Warren, Clyde, Kenneth, Forest, and Gene Fleener. Survivors include three sons: Richard McNeece of Peculiar, MO, Lonnie McNeece and wife Sharon of El Dorado Springs, MO, and Rocky McNeece of Nevada, MO; three daughters: Nancy Davies and husband Harold of Nevada, MO, Donna Taffner and husband Ray of Nevada, MO, and Sharon Wolf of Sheldon, MO; twenty-two grandchildren; thirty great-grandchildren; one brother, Robert Fleener and wife Shirley of Independence, MO; and many other relatives and friends. The family will receive friends on Wednesday morning from 9-10 a.m. at Bland-Hackleman Funeral Home. A graveside service will follow at 11:00 a.m. in Milo Cemetery with Bert Travis officiating. Arrangements are under the direction of Bland-Hackleman Funeral Home. Pallbearers are Richard McNeece, Lonnie McNeece, Rocky McNeece, Harold Davies, and Ray Taffner.